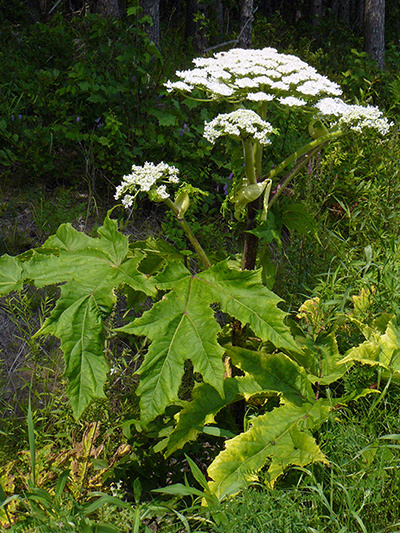 Public plant-enemy number one for ten years now, the Giant Hogweed continues to spread in Quebec. Introduced in North America in the early twentieth century as an ornamental plant because its size makes it spectacular, it has become invasive. Its sap contains a phototoxic substance (which is active to light) and can cause skin lesions similar to burns and even blindness if eye contact. To signal the presence of the plant, contact the municipality concerned or with the ministère du Développement durable, de l’Environnement et des Parcs at 1 800 561-1616. Take a picture of the plant to confirm your observation.